All-Star NHL winger who won Stanley Cup Championships with the Chicago Blackhawks in 2010, 2013, and 2015. He debuted in the NHL with the Ottawa Senators in 1998 after being selected 12th overall in the 1997 NHL Draft. He was a runner-up for the Calder Trophy after scoring 30 points in his rookie season with the Senators. He made it to the Stanley Cup Finals three consecutive times from 2008 to 2010, each time with a different team: the Pittsburgh Penguins, Detroit Red Wings, and Chicago Blackhawks. He lost the first two before breaking through with Chicago. 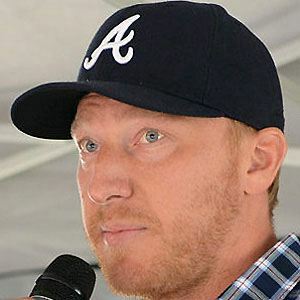 His father, Frantisek Hossa, was a former head coach of the Slovak national ice hockey team. He has a pair of daughters named Mia and Zoja. He became teammates with Jonathan Toews in Chicago in 2010. Toews took Conn Smythe honors as playoff MVP during Chicago's 2010 Stanley Cup run.